Calling all men who want to raise their testosterone levels naturally! 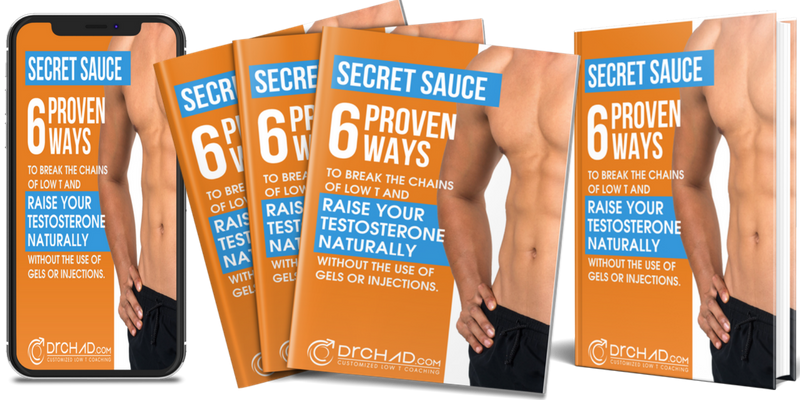 Click below to get my secret sauce for overcoming your Low Testosterone. Are You Not Feeling Like Yourself? You are not alone. I was right where you are when I found out I had the testosterone levels of a 70 year old at the age of 33. Want to Avoid Hormone Replacement Therapy? There are just too many side effects and they're not effective enough. There is a better and safer way. Think about how low t affects how you perform in all areas of life: as a professional, spouse, father, etc. You're not yourself!